Longe Magazine & Distribution Inc is committed to safeguarding your privacy online. Please read the following statement to understand how your personal information will be treated as you make full use of the Longe Magazine & Distribution Inc., website. The Longe Magazine & Distribution Inc., website is owned and operated by Longe Magazine & Distribution Inc.
Longe Magazine & Distribution Inc., is a Participant in the TRUSTe Privacy Seal Program. TRUSTe is an independent organization whose mission is to advance privacy and trust in the networked world. As this website wants to demonstrate its commitment to your privacy, it has agreed to disclose its information practices and have its privacy practices monitored for compliance by TRUSTe. If you do not receive acknowledgment of your inquiry, or if your inquiry has not been satisfactorily addressed, you should then contact TRUSTe at http://www.truste.org/consumers/watchdog_complaint.php. TRUSTe will then serve as a liaison with the website to resolve your concerns. Use of Membership. Your membership is non-transferable. You agree that only You and Your Immediate Family may use the membership. "Immediate Family" means You, Your spouse or partner and Your children living in Your home. Benefits are not for resale. You will promptly notify Us if You become aware of any unauthorized use of Your membership card (where applicable) or membership number, or if Your membership card (where applicable) is lost or stolen. If You were offered the opportunity to claim a gift in connection with Your enrollment in the program, You are limited to one gift per program and, depending upon the offer You agreed to, You may be required to still be a member of the program at the time Your gift claim is processed. Continuation or Renewal of Membership. Unless You notify Us that You wish to terminate this Membership Agreement and cancel Your membership by following the instructions in the paragraph below titled "Termination of Membership", Your membership will continue or renew automatically, and You will be charged the then-current membership fee, which will appear on Your Payment Source statement, depending upon how You enrolled. This is known as a continuity plan. For Annual Payment Plan Memberships: We reserve the right to increase or decrease the membership fee for each renewal membership term, or add new fees and charges, from time to time, effective upon annual renewal of Your membership. For Monthly Payment Plan Memberships: We reserve the right to increase or decrease the membership fee, or add new fees and charges, from time to time. You agree that, unless You cancel Your membership prior to the effective date of the membership fee increase, You will be charged the new applicable periodic membership fee on each anniversary date after the effective date of such change, and You authorize Us to charge the new applicable periodic membership Fee to Your Payment Source. You are solely responsible for any and all fees charged to Your Payment Source by the issuer, bank, or financial institution including, but not limited to, membership, overdraft, insufficient funds and over the credit limit fees. Termination of Membership. YOU MAY TERMINATE THIS MEMBERSHIP AGREEMENT AND YOUR MEMBERSHIP AT ANY TIME BY CALLING US AT THE TOLL-FREE NUMBER LISTED ON YOUR MEMBERSHIP CARD/MATERIALS OR THE PROGRAM WEBSITE OR BY NOTIFYING US IN WRITING AT 4 Daniels Farm Road Trumbull CT 06611. YOUR CANCELLATION WILL BE EFFECTIVE PROMPTLY UPON THE RECEIPT OF YOUR CANCELLATION REQUEST. UPON CANCELLATION, DEPENDING UPON THE TERMS YOU AGREED TO, a) UNDER THE ANNUAL PAYMENT PLAN, YOU WILL RECEIVE EITHER A PRO-RATED OR A FULL REFUND OF THE PAID MEMBERSHIP FEE FOR THE THEN-CURRENT YEAR; b) UNDER THE INSTALLMENT PAYMENT PLAN, YOU WILL EITHER RECEIVE A PRO-RATED OR A FULL REFUND OF THE PAID MEMBERSHIP FEE FOR THE THEN-CURRENT YEAR; c) UNDER THE MONTHLY PAYMENT PLAN, YOU WILL NOT OWE ANY FURTHER MEMBERSHIP FEES AND WILL NOT BE ENTITLED TO A REFUND OF PAST FEES CHARGED TO YOUR ACCOUNT; AND d) UNDER CERTAIN OTHER PAYMENT PLANS, YOU WILL NOT OWE ANY FURTHER MEMBERSHIP FEES AND WILL NOT BE ENTITLED TO A REFUND OF PAST FEES CHARGED TO YOUR ACCOUNT. DEPENDING UPON THE TERMS YOU AGREED TO, ANY ENROLLMENT, PROCESSING AND/OR TRIAL PERIOD FEES MAY NOT BE REFUNDABLE. ANY OTHER FEES OR CHARGES INCURRED IN CONNECTION WITH THE PROGRAM (INCLUDING BANK OR OVERDRAFT CHARGES) ARE YOUR RESPONSIBILITY. WE WILL TERMINATE YOUR MEMBERSHIP IF IT IS NOT USED IN ACCORDANCE WITH THIS MEMBERSHIP AGREEMENT OR HAS NOT BEEN PROPERLY ENROLLED THROUGH AN AUTHORIZED MARKETING OR ADVERTISING PARTNER. IN SUCH CASES, WE RESERVE THE RIGHT TO: (1) NOT REFUND MEMBERSHIP FEES PAID BY YOU; (2) NOT TO FULFILL ANY PENDING BENEFIT ORDERS; AND (3) NOT PROCESS ANY CREDITS FOR GIFT CARDS OR CERTIFICATES PURCHASED UP TO ONE MONTH PRIOR TO CANCELLATION OF THE MEMBERSHIP BY US. WE RESERVE THE RIGHT TO TERMINATE YOUR MEMBERSHIP AT ANY TIME FOR ANY OTHER REASON PROVIDED THAT WE MAKE ANY REFUND DUE TO YOU BASED UPON THE TERMS OF YOUR ENROLLMENT. A MEMBER IS PROHIBITED FROM RE-ENROLLING IN THE PROGRAM FOR AT LEAST TWELVE (12) MONTHS FROM CANCELLATION. Governing Law. THIS MEMBERSHIP AGREEMENT AND THE TERMS OF MEMBERSHIP SHALL BE GOVERNED AND CONSTRUED IN ACCORDANCE WITH THE LAWS OF THE STATE OF CONNECTICUT, WITHOUT GIVING EFFECT TO THE CHOICE OF LAW PROVISIONS THEREOF. Any Claim regarding the validity or enforceability of this arbitration provision shall be governed by the laws of the State of Connecticut, without giving effect to the choice of law provisions thereof. This arbitration provision is made pursuant to a transaction involving interstate commerce and, in all other respects, including the determination of any questions about whether Claims are within the scope of this arbitration provision and therefore subject to arbitration shall be governed by the Federal Arbitration Act, 9 U.S.C. §1-16 ("FAA"), and shall be resolved by interpreting the arbitration provision in the broadest way the law will allow it to be construed. The arbitration shall be conducted before a single arbitrator, applying to the Claims the substantive laws of the state of Connecticut without giving effect to the choice of law provisions thereof. The arbitrator's authority is limited solely to the Claims between You and Us alone. The arbitration will not be consolidated with any other arbitration proceeding. You and We do not agree to any arbitration on a class action or representative basis, and the arbitrator shall not be authorized to treat any Claim on a class action or representative basis. Arbitration rules and forms may be obtained from the AAA at http://www.adr.org/. Claims shall be filed in any AAA office. However, any participatory hearing that You attend shall take place in Fairfield County, Connecticut, unless You chose to have the hearing take place in the federal judicial district that includes Your billing address at the time the arbitration Claim is filed. IF YOU DO NOT CHOOSE TO ACCEPT THIS BINDING ARBITRATION PROVISION, YOU MUST NOTIFY US IN WRITING BY REGISTERED MAIL AT ARBITRATION OPT-OUT 4 Daniels Farm RD Trumbull CT 06611 WITHIN TWENTY (20) DAYS AFTER RECEIPT OF THIS "TERMS OF MEMBERSHIP AND MEMBERSHIP AGREEMENT." IF YOU SO NOTIFY US BY THAT TIME THAT YOU DO NOT ACCEPT THE BINDING ARBITRATION PROVISION, YOU MAY CONTINUE TO BE A MEMBER FOR THE CURRENT MEMBERSHIP TERM UNLESS THE MEMBERSHIP IS OTHERWISE TERMINATED HEREUNDER. HOWEVER, IN THE EVENT YOUR MEMBERSHIP IS CONTINUED, WE SHALL HAVE THE RIGHT NOT TO RENEW YOUR MEMBERSHIP AT THE END OF THE MEMBERSHIP TERM (OR TWELFTH MONTH ANNIVERSARY DATE FOR MEMBERSHIPS UNDER THE MONTHLY PAYMENT PLAN). Disclaimer of Liability. You agree that We and our subsidiaries, affiliates and licensors are not responsible or liable for any Benefits provided by participating vendors and, if You have any claims relating to such Benefits, You will make Your claim against the vendors providing the Benefit. WE AND OUR LICENSORS MAKE NO WARRANTIES, EXPRESS OR IMPLIED, INCLUDING THE WARRANTY OF MERCHANTABILITY OR FITNESS FOR A PARTICULAR PURPOSE, WITH RESPECT TO ANY OF THE BENEFITS OR RELATED INFORMATION PROVIDED TO YOU. UNDER NO CIRCUMSTANCES SHALL OUR OR OUR LICENSORS' LIABILITY EXCEED YOUR CURRENT MEMBERSHIP FEE, AND UNDER NO CIRCUMSTANCES SHALL WE OR OUR LICENSORS BE LIABLE FOR YOUR INCIDENTAL OR CONSEQUENTIAL DAMAGES. We reserve the right to eliminate, add, change and substitute Benefits and participating vendors without notice to You in our sole discretion. We assume no responsibility for the payment of or contribution to any use or sales tax on the Benefits which may be imposed by taxing authorities, and such taxes, to the extent imposed, shall remain Your sole responsibility or that of the provider of the Benefits, as the case may be. IN NO EVENT SHALL WE OR ANY OF OUR AFFILIATES OR LICENSORS AND ANY OF THEIR RESPECTIVE DIRECTORS, OFFICERS, EMPLOYEES, AGENTS OR OTHER REPRESENTATIVES BE LIABLE FOR ANY DIRECT, INDIRECT, SPECIAL, INCIDENTAL, CONSEQUENTIAL, PUNITIVE OR AGGRAVATED DAMAGES OR ANY OTHER DAMAGES OF ANY KIND, ARISING OUT OF OR IN CONNECTION WITH THE PROGRAM, PROGRAM WEBSITE, ANY MATERIALS, INFORMATION, QUALIFICATION AND RECOMMENDATIONS APPEARING ON THE PROGRAM SITE, ANY SOFTWARE, TOOLS, TIPS, PRODUCTS, OR SERVICES OFFERED THROUGH, CONTAINED IN OR ADVERTISED ON THE PROGRAM WEBSITE, ANY LINK PROVIDED ON THE PROGRAM WEBSITE, WHETHER OR NOT WE HAVE BEEN ADVISED OF THE POSSIBILITY OF SUCH DAMAGES. THIS EXCLUSION OF LIABILITY SHALL APPLY TO THE FULLEST EXTENT PERMITTED BY LAW. THIS PROVISION SHALL SURVIVE THE TERMINATION OF YOUR MEMBERSHIP. Marketing clients will receive terms of agreement once client decided to move forward based on needs. Meaning if Clients wants to developed a Website, Flip-book, SEO Program, Graphics Design work or alike projects; as this is a custom item, you will receive an agreement that reflects your needs and the agreement of terms that must me signed and faxed back to us before moving forward. We respect your privacy. Any information you give us is held with the utmost care and security and is only used in the ways that are described in this Policy. We collect personally identifying information such as your name, age and e-mail address during registration for certain portions of our sites located at www.longemagazine.com or otherwise owned or controlled by Longe Magazine Inc., ("Site(s)"), including but not limited to participation in chat rooms, bulletin board postings, purchases from our online store, or in connection with sweepstakes, auctions and to fulfill prizes, auction items, and track customer usage of the Site or for promotional and marketing purposes (individually and collectively "Uses"). Chat Rooms & Postings: Remember whenever you voluntarily disclose personal information online in chat rooms, message boards or similar posting areas, the information can be reviewed and collected by anyone. Therefore, do not post any information that you do not want available to the general public. We cannot be responsible for your postings and unsolicited communications that arise from your postings. Use of IP Addresses: An IP address is a number that's automatically assigned to your computer whenever you're surfing the Web. Web servers automatically identify your computer by its IP address. When a guest request pages from our Site, our servers log the guest's IP address. The IP addresses are collected for the purposes of system administration and to report aggregate information to our advertisers. We do not link IP addresses to anything personally identifiable. This means that a guest's session will be logged, but the identity of the guest remains anonymous. Our primary goal in collecting user information is to enhance your experience on our website. We use aggregated (gathered up data across all user accounts) information to develop content targeted to users' interests and to better the website user experience. Longe Magazine Inc.,.com is committed to your privacy and other than as provided herein or after receiving your specific consent, Longe Magazine Inc.,.com will not share any personal information with any third party at any time, unless required by law. Please be aware that Longe Magazine Inc. sponsors, advertisers and partners or affiliates with co-branded modules or sections on Longe Magazine Inc.,.com may collect personally identifiable information about you while on our website. The information practices of those parties are not covered by this privacy statement. We encourage you to be aware when you leave our site and to read the privacy statements of each and every website that collects personally identifiable information. This privacy statement applies only to information collected by this website. Longe Magazine Inc. users should also be aware that, when you voluntarily disclose personal information in chat areas or bulletin boards, that information may be collected by others and may result in unsolicited messages from others. We are not responsible for the personally identifiable information you choose to submit in these forums. Longe Magazine Inc. does not collect personally identifying information about any individual Longe Magazine Inc. website user except when knowingly provided by such individual. For example, we may ask you for information, such as your e-mail address, title and industry when you register to become a member of Longe Magazine Inc. You may also provide information to Longe Magazine Inc. in other contexts, including, for example, in order to register for the Longe Magazine Inc Attaché or to enter into a sweepstakes or promotion. In the event you order something from Longe Magazine Inc.,.com or one of our co-branded websites, we may request additional personal information, such as your address, telephone number and credit card information, in order to complete the purchase. We also supplement the data you provide to us with data from data append services. You always have the option not to provide the information we request. 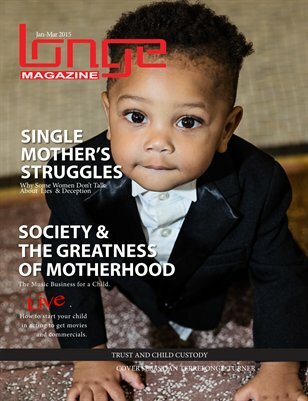 If you choose not to provide the information we request, you can still visit most of the Longe Magazine Inc.,.com website, but you may be unable to access certain options and services. 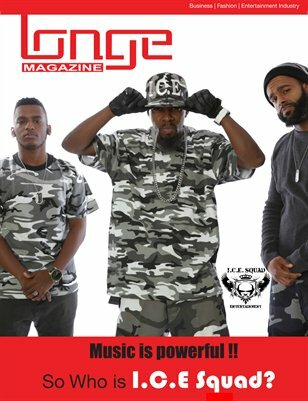 When you register or become a member of Longe Magazine Inc.,.com or provide information to Longe Magazine Inc. in any other manner, you agree to provide only true, accurate, current and complete information. We also use browser plug-in cookies on our site, including Flash cookies, also known as "local shared objects," to perform similar functions as browser cookies. Like normal browser cookies, these cookies are represented as small files stored on your computer. One method of preventing Flash cookies from being placed is to adjust your preferences in the Macromedia Website Privacy Settings Panel at macromedia.com. Business partners of Longe Magazine Inc, vendors providing hosting and other services for Longe Magazine Inc., third party analytics providers, as well as advertisers who contract directly with a third-party service to serve their advertisements on our website may set their own unique cookies through your browser. We do not have access to these cookies or any information that they may contain. If you would like more information about this practice and about your option not to accept cookies placed by these companies, please click here. Longe Magazine Inc. also uses a reputable third party to collect information, including through the use of web beacons, browser cookies and other tracking technologies. This data is collected in the aggregate, but may include or be associated with other non-PII or PII that users have voluntarily submitted. Longe Magazine Inc.web and ad servers log information about a site user's IP address, browser type and the current URL the user is requesting. This information is always provided by each and every user's browser. These log files are stored in a secure location and used in an aggregated, anonymous manner in our internal analysis of traffic patterns within our website. This information is automatically logged by most websites. To develop and provide content and advertising to you that is targeted to your interests, we use the analytics collected by the systems described above to determine which areas of our website you prefer based upon the frequency of your visits and engagement with those areas. We may also make reasonable geographic and demographic assumptions based on your presented IP address to target relevant content and advertising. To Provide Interactive Communications From Longe Magazine Inc. 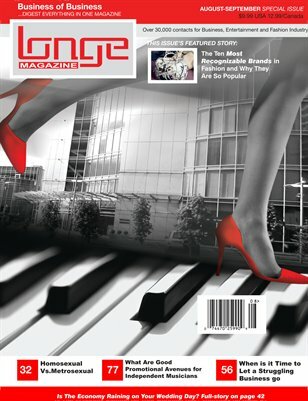 Registered users may change the information stored in their member profile such as e-mail address, zip code, country, title and industry, and they may elect to stop receiving newsletters or marketing material from Longe Magazine Inc. or on behalf of external third party business partners. Users may choose to stop receiving such communications at any time by visiting the "Member Profile" page at www.longemagazine.com or by following instructions at the end of any such e-mail received. 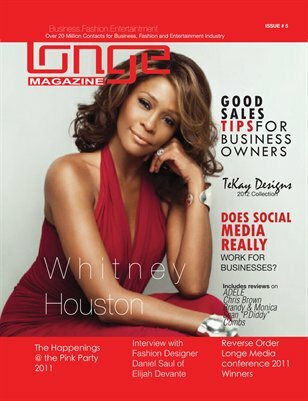 When you are on an area of Longe Magazine Inc., and are asked for personal information, you are sharing that information with Longe Magazine Inc., as well as business partners and vendors providing hosting and other services for Longe Magazine Inc.
We also have features that allow you to send an e-mail to yourself and/or others about an item on our site. If you choose to use our e-mail referral service, you will be required to provide the e-mail address or addresses that will be used in the notification. Upon form submission an e-mail will be generated to your recipient(s) inviting them to visit the URL you have recommended. We do not store this information other than for the sole purpose of sending this one-time e-mail. Widgets are small content modules that users can embed on their own sites. We offer widgets that are hosted on Longe Magazine Inc.,.com, like our embeddable video player, as well as widgets that are powered by 3rd party vendors. Longe Magazine Inc., derives the majority of its revenue from advertising and sharing information is essential to keeping our services affordable to users. In order to attract and retain advertisers we use the aggregated, anonymous information that we gather (as well as information from third-party market researchers) to describe our services to partners and to assist our advertisers and sponsors to better understand our audience. We do not disclose personally identifying information about our users to these parties. Longe Magazine Inc.,.com may disclose your personal information if required to do so by law or in the good faith belief that such action is necessary to conform to the edicts of the law or comply with a judicial proceeding, court order or legal process served on Longe Magazine Inc.,.com or to protect and defend the rights or property of Longe Magazine Inc.,.com. Your information is stored on LongeMagazine.com's servers located in the United States. We use industry standard procedural and technical safeguards to protect your personal information against loss or theft as well as unauthorized access and disclosure to protect your privacy, including encryption, "firewalls" and the Secure Sockets Layer (SSL). We treat data as an asset that must be protected against loss and unauthorized access. We employ many different security techniques to protect such data from unauthorized access by users inside and outside the company. However, "perfect security" does not exist on the Internet. Kids under 13: Do not send any information about yourself to us including information such as your name, address, or e-mail address. We do not knowingly collect personally identifiable information from children under 13. In the event that we learn we have collected any personal information from a child under the age of 13 without verification of parental consent, we will delete that information from our database as quickly as possible.